The Beast from the East could not deter the hard working students from their training recently. A few images of some of the hard work being put in, and a lot of fun of course. Categories: Information | Tags: Karate, Lasswade, Saturday, Training | Permalink. Some pictures of the senior Saturday class at Lasswade this weekend. Categories: News | Tags: basics, Karate, Kihon, Lasswade, Saturday, Training | Permalink. Well done to everyone at the recent grading. Here are a few images of the hard work! 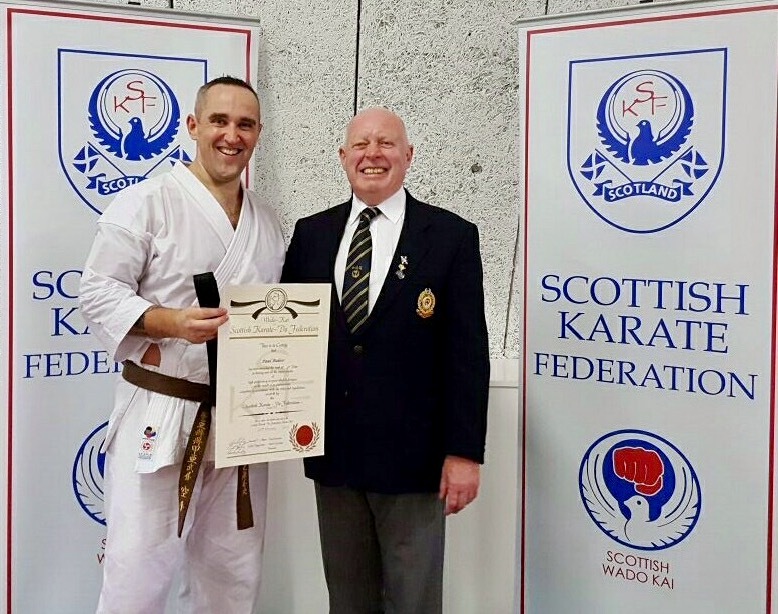 Congratulations to Paul who recently passed his grading to 1st Dan. Hard work, effort and commitment all paying off. Well done. Categories: News | Tags: Black Belt, Dan Grade | Permalink. The club has a new membership form that we are now using. Unfortunately we need all existing users to fill in, as well as any new members. Paul has a supplyy of these for Lasswade students. Jim will have a supply as well, starting next week. If you have a printer, you can access the form by clicking here, print off and either hand back to Jim or Paul. The new form has sections for Photograph Permissions and a Behavioural Agreeement contained within. Please note, that a child will never be identified by name on website or Social Media without prior consent from parent/guardian e.g Any competion successes that we would like to publicise. Categories: Information, News | Tags: Mempership Form | Permalink. There have been a few changes behind the scenes of who does what in the group. Whilst Jim will remain in charge of the club, the following people and roles have been identified. Sarah Jarmin is the new Facebook admin. Chris Lennie is looking after our fundraising, so if you have an idea please speak to him. Colin Miller is dealing with our club clothing orders. Kenny Moffat will also remain as the Chair of the above ‘committee’ ensuring that the Group goes from strength to strength. ALL OF YOU are responsible for coming along and making the club what it is! Keep up the good work team! 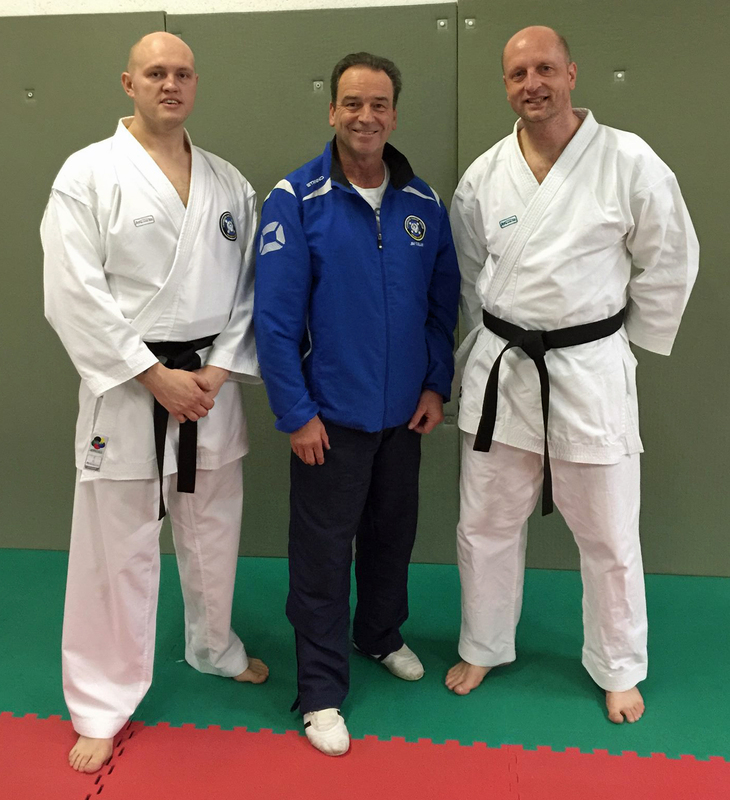 Many Congratulations to Kenny and Colin, who this evening passed their 1st Dan grading. This is the culmination of many years hard work. Both Kenny and Colin have dedicated massive amounts of time and effort over the last few months in training for today. This goes to show that hard work, and belief in yourself always pays off. Well done guys, the club is proud of you both. This website has been developed and is maintained by one of Jim Collins' students, on his behalf. Alternatively, please feel free to come along to one of the clubs above to chat, watch or take part. Example of belts and pads.